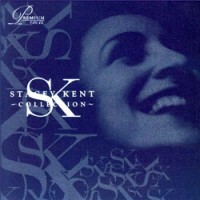 Stacey and Jim's dedication has resulted in success first in England and subsequently in France and ..
Close Your Eyes is a striking debut from the beguiling young jazz vocalist from New York whose disti..
Stacey Kent - SK CollectionA special release celebrating worldwide sales of Stacey's Candid albums. .. This is the second Collection of hand picked favorites from the award winning vocalist herself. 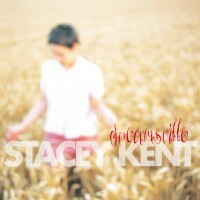 This..
'Dreamsville' is a collection of some of the greatest ballads ever written, but chosen by the fans r..
Track List1) Too Darn Hot2) All I Do Is Dream Of You3) Say It Isn't So4) Hushabye Mountain5) Thou Sw..
Stacey Kent - In Love AgainIn pre-order alone of this album was number one on the Amazon chart. 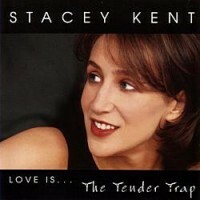 No s..
'Let Yourself Go' is Stacey's third album for the Candid label, celebrating the music of Fred Astair..
Stacey Kent - The Boy Next DoorThe Boy Next Door is Stacey's most personal album yet, dedicated to s.. 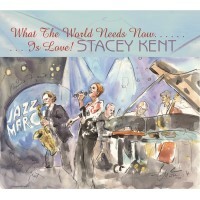 The Boy Next Door has been hailed as the best record Stacey ever made, and is a record that establis..
Stacey swings out in this marvellous collection of well-loved yet underexposed classics from the Gre..
What the World Needs NowIs Love (CCD 79981) &..